Unlike most blankets or comforters, quilts have a “story” behind them—from the source of the fabric to the artist behind the pattern to the one making the quilt. 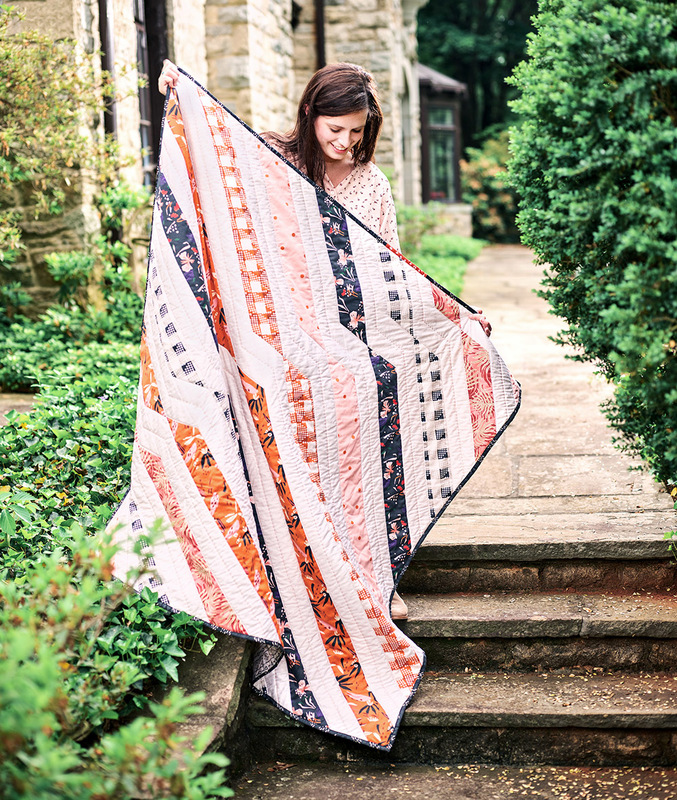 Textile designer and charismatic maker Suzy Williams of Suzy Quilts, based in Chicago, IL, has been helping to lead a new frontier in modern quilting, garnering accolades and awards from QuiltCon and the International Quilt Festival thanks to her minimal, contemporary quilts. She has a BFA in visual communications, which seems like the perfect background for storytelling through textiles. 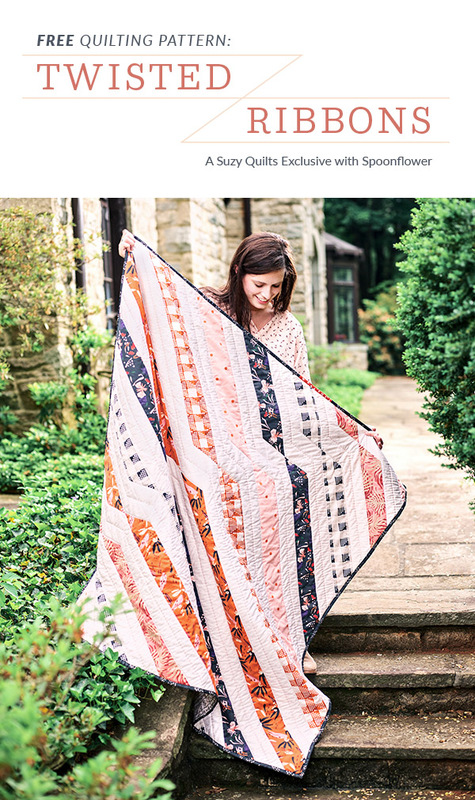 We were thrilled when Suzy said she would be happy to create a custom quilt just for the Spoonflower community. The resulting pattern, Twisted Ribbons*, feels fresh and unique, thanks to the understated linear work and the neutral color palette she chose featuring bohemian designs from a much-loved Spoonflower designer, holli_zollinger. This pattern uses Suzy’s favorite finishing technique: machine quilting with added hand-quilting details. An efficient way to round up designs for this pattern is to use our Fill-A-Yard® 2-yard cheater quilt template to create six strips of 9″ by 72″ designs for the quilting pieces. Once you have your yardage in hand, cut out the designs to match Suzy’s pattern. Once you’ve downloaded your free Twisted Ribbons pattern, be sure to hop on over to the blog to read Suzy’s three tips for picking designs for your quilt and be sure to use #TwistedRibbonsQuilt to show off your work on social media! *This pattern has been updated on August 23, 2018. Cut strips are now 3 1/2″ instead of 3″ wide and Background yardage is 2 yards instead of 1 1/2 yd. Everything else has stayed the same.